Sunshine School for Dogs has been continuing to help people and their dogs since 1988. Sunshine School's instructors have had many years of experience teaching dogs and their people, using positive motivation, love, and understanding. 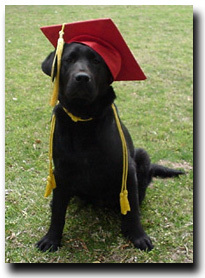 We invite you to join a Sunshine School for Dogs behavioral training class. It will prepare you and your puppy or adult dog for a lifetime of companionship.